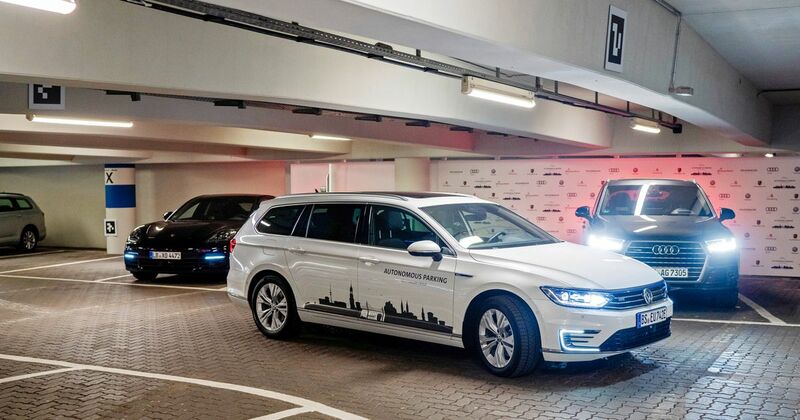 If you have a distaste for dealing with car parks, especially multi-storey types, the Volkswagen Group is developing a solution you should love. The company is testing a solution that would let you leave your car at the car park entrance and let it park itself. A simple new system of signs and maps works with the car’s in-built sensors and cameras to effectively create a car that can roll away and find a space unaided. Right now, Volkswagen, Porsche and Audi test cars are doing exactly that at Hamburg Airport. It works by placing ‘simple pictorial markers’ – signs, then – around the car park, showing entry points, no-entry points and general directional indicators that the car’s software can recognise on its way to finding a space. There’s also a map of the car park built into the programme. 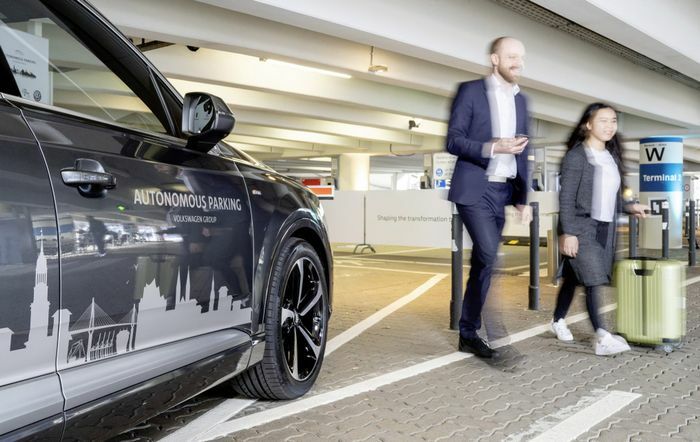 It uses its next-generation ‘spatial awareness’ sensor array to avoid hitting things and drive through the car park safely, while the autonomous parking system that already exists can identify and slot into a space. An automatic transmission is, obviously, essential. The current test programme is taking place in what appears to be a controlled car park where there are minimal variables, but over time the system will be developed so that it can operate among human drivers and all their weird and wonderful manoeuvring decisions. The cars will be able to return to an allotted pick-up point in the car park by themselves, too. The future is almost here… until someone sneaks into the car park and changes all the signs around, anyway.